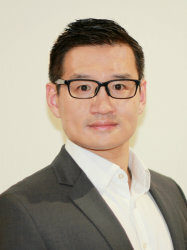 Dr Jiang focuses on developing novel manufacturing techniques through the understanding of micro-thermomechanical behaviours for lightweight alloys and solar cells including Ti, Mg, TiAl, Si. He received his DPhil (Oxford 2013) and followed by two-year post-doc and one-year research fellow at Imperial College studying the microstructural behaviour of engineering alloys. Although at an early stage of his academic career, he has been rapidly gaining an international reputation as evidenced by 8 invited presentations at international conferences, and 1 invited review paper.